The newest Archie Horror series, BLOSSOMS 666, puts Riverdale’s most popular and stylish twins into a creepy new light! 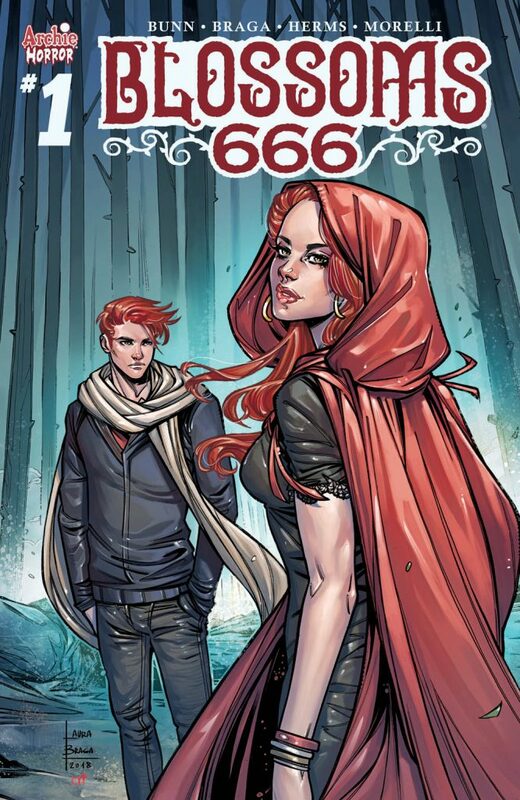 Written by horror comics master Cullen Bunn (Uncanny X-Men), with art by Laura Braga (Harley & Ivy Meet Betty & Veronica), colors by Matt Herms (THE ARCHIES), and letters by Jack Morelli (VAMPIRONICA), BLOSSOMS 666 will shock and surprise you as the Blossom twins do whatever it takes to get what they desire most. BLOSSOMS 666 #1 (of 5) is now available in comic shops and on digital platforms, featuring variant covers by Joe Eisma, Francesco Francavilla, Robert Hack, and Vic Malhotra.